I have been building LEGO architecture models and sharing them on my blog for almost exactly a year now. My first big project was my LEGO Architecture 30-day challenge where I built 30 different LEGO architecture projects in about two months. I’m excited to bring several small LEGO Architecture models and one larger one to this weekend’s BrickCon convention here in Seattle, WA. I hope you can make it! 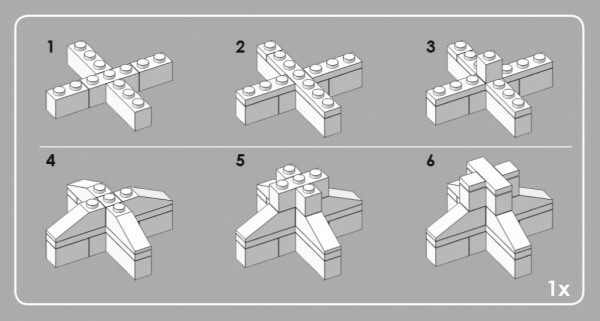 An excerpt of the instructions that show how to assemble the top of the tower. I wanted to do something more than simply display my models; I wanted to create and share instructions so people attending the conference (and readers of this article) can build one of these models too. I decided to start with a relatively simple model, so I selected an “Airport traffic control tower” I built in the Brutalist architecture style. 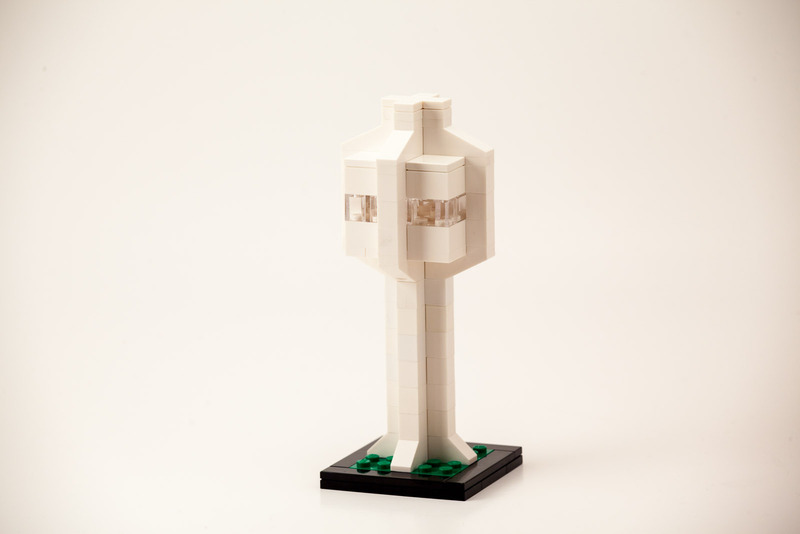 Brutalist style LEGO Architecture model of an Airport Traffic control tower. Brutalism is one of my favorite Architectural styles, it is an offshoot of Modern Architecture which got a lot of attention in the 1960’s and 1970’s. The style is easily recognized as almost all of the buildings are made of inexpensive reinforced concrete, and they often have bold, aggressively angular forms. It became a common style for governmental buildings and universities. You can download a PDF containing the instructions to build this model. I’d love to hear your thoughts about these instructions or the completed model… Please leave a comment below! Was it fun to build? Were the instructions clear? I hope you were able to see my models at BrickCon – what did you like best? I like your architectural work, Tom. I saw a few of your items at BrickCon and was impressed. Glad to see another LEGO+Architecture fan making great stuff! Thanks Ashley, I’m happy to hear that you enjoyed what you saw and hope that I continue to offer interesting articles on my blog about LEGO and Architecture. Hopefully I will have even more to show at BrickCon next year!